Toyota Research Institute has signed an agreement with GoMentum Station to test autonomous vehicle technology at the 5,000 acre autonomous vehicle proving grounds located in Concord, California. Managed by the Contra Costa Transportation Authority, this partnership enables TRI to expand closed course testing of its two-prong approach to vehicle automation – Guardian and Chauffeur. Camille Bauer Metrawatt says it has combined the functionality of a highly accurate measurement device for heavy current applications with the capabilities of an integrated programmable logic controller. The company claims this is the first time such a device – the Centrax CU5000 – has been launched. The Robot Operating System is a collection of software tools and libraries used by robot programmers for developing applications. 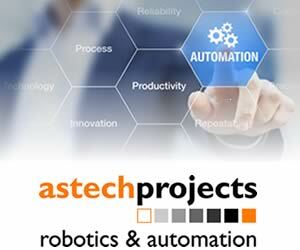 Novarc Technologies, a Vancouver-based robotics company specializing in the design and commercialization of collaborative robots for industrial applications, says it will be introducing “the world’s first welding collaborative robot” at FabTech. The company says this is a “groundbreaking step” because, for the pipe welding industry, it demonstrates that robots can enable companies to meet production requirements even where there isn’t a sufficient skilled workforce available. Mitsubishi Electric Automation and Bimba Manufacturing have agreed a collaboration that will combine Mitsubishi Electric’s industrial automation technology with Bimba’s motion control solutions. The arrangement brings together Mitsubishi Electric’s servo motors and control products with Bimba’s electric mechanical actuators. Chinese companies bought 80 per cent more industrial robots in the period from July to September 2017 than they did in the same period last year. This is according to the Japan Robot Association, which released a range of statistics which suggest that Chinese manufacturers of smartphones and other electronics products are turning to Japanese companies for their automation requirements. Konica Minolta, the Japanese tech giant best known for office equipment, looks to be increasing its activities in the robotics sector. 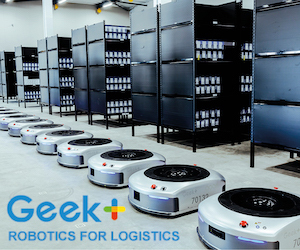 Konica claims to be one of the first companies to commercialise automated solutions for business, and also says it’s been making “ground-breaking strides” within robotics through proprietary technology. Graphene is sometimes described as being two-dimensional, or 2D, which is probably more a reflection of the enthusiasm people feel about the material rather than a statement of fact since graphene is actually one atom thick. It may only be one single atom, but it’s still there, which means that graphene is, in fact, three-dimensional. Many people have ideas, but actually producing something – sketch, prototype, then final product – from those ideas, and having it mass-manufactured, is a hugely complex, time-consuming and expensive process. If that product is an electronic and semiconductor technology-based hardware-and-software product, which is increasingly in demand these days, then that’s an even higher level of complexity and stress. Metal Fabricators of all sizes are adopting robotic automation to maximize throughput, reduce costs and remove people from repetitive tasks and challenging environments. The exhibit highlights the elevated level of collaboration, digitalization and simplification unique to ABB, which helps achieve these goals while providing fabricators the flexibility to efficiently adapt production as manufacturing continues to trend from mass production to mass customization.